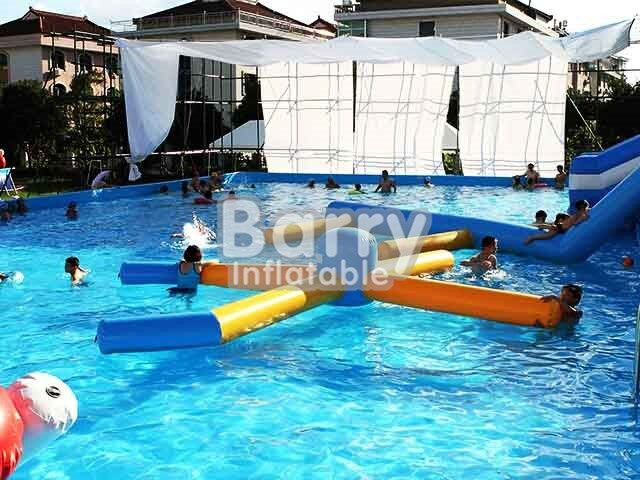 Products - Portable Swimming Pool - Commercial Inflatable Pools,Metal Frame Pool With Fence BY-SP-005 - Guangzhou Barry Industrial Co., Ltd. 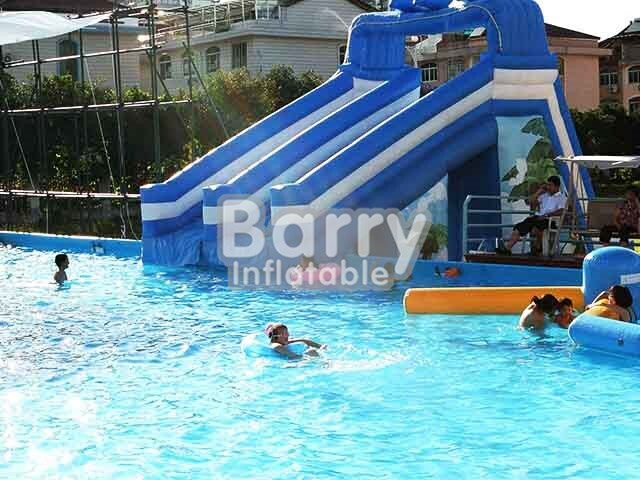 The metal frame consist of steel frame and pvc tarpaulin .The main part is supported by steel frame,and swimming pool is frequently welderd and heat sealed by the double nylon pvc tarpaulin .It features high tear(tear strength is 400N,. 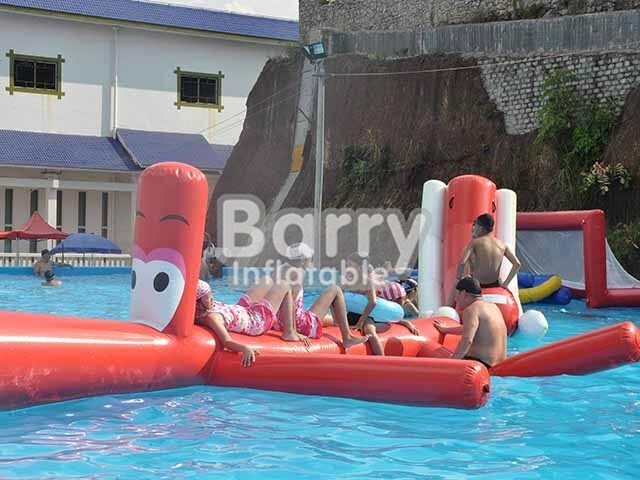 strength of extension is 3478/N/cm ),friction resisting ,aging resistance and attractive appearance ,ect ,as well as it is easy to set up ,use safely and clean,no need the special area .The metal frame swimming pool's ordinary shape is rectangle ,and it can be customized according to the area .Generally ,the height is 70cm to 150cm,the length and the wide are 2*2m to 50*25m For the special size ,welcome to customized ! Q1. 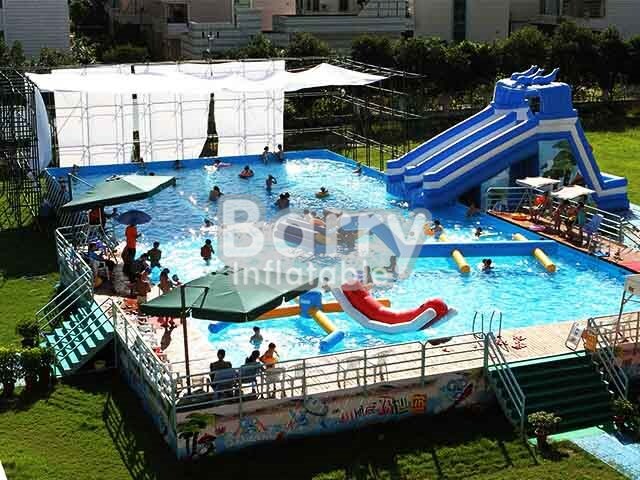 How are the metal frame swimming pool shipped? A:The products are shipped in a double layered cardboard box. Q2. What accessories are included? Q3. How long is the guarantee and what is covered? Q4.What are your terms of payment ? A:Western Union ,T/T, Paypal... 50% deposit before production and 50% balance before delivery. Q5.How long is your delivery time ? Q6.How to install the products ? A:We will provide the installation instructions and the will supply you the video ,showing you how easy to install .It is so easy,no need to worry about it.